The wheels of change are turning, as illustrated by Angela M. Leung, MD writing on the “Love-Hate Relationship with T4“ . (1) This caught my attention because it represents the beginning of a paradigm shift in mainstream endocrinology. NDT which contains T4 and T3 in a 4:1 ratio can be regarded as another combination therapy. Although Dr Leung will reluctantly prescribe NDT, she will first try to dissuade the patient by disclosing drawbacks. Namely, Dr Leung will argue NDT is suboptimal because the T4:T3 ratio in NDT is 4:1, while the thyroid secretion ratio ranges from 12:1 to 20:1. Opposing views in support of the 4:1 ratio can be found among prescribers of natural thyroid. 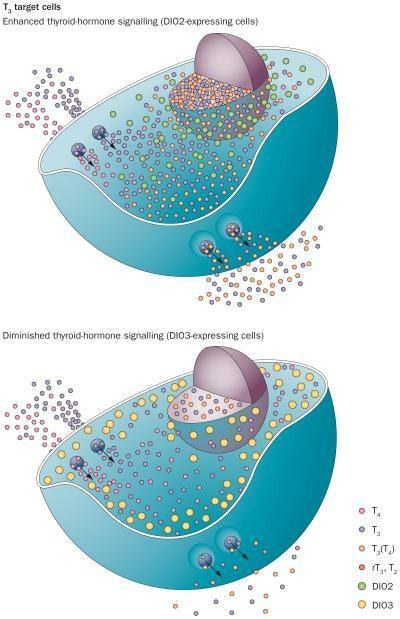 Although the thyroid gland T4:T3 secretion ratio is 12:1, only about 20% of serum T3 comes from thyroid secretion, the other 80% comes from peripheral conversion of T4 to T3. This means the final serum levels are closer to the 3:1 or 4:1 range of which is found in NDT. Even though NDT does not replicate thyroid secretion ratio of 12:1, it does replicate the serum ratio of T4 to T3 (3:1 or 4:1), which in my opinion is more important. My first thyroid patient 15 years ago, was a 70 year old female who had been on Synthroid for 50 years ever since her total thyroidectomy for a “benign cyst” at age 20. An operation, which in retrospect, was probably unnecessary. Three weeks after switching her to NDT natural desiccated thyroid, she came back into the office, threw up her hands and said: “I feel so much better. Why hasn’t any other doctor done this for me before?“, I said ,“I dont know, Mom.” My very first thyroid patient was my mother. Over the years, I have found this type of patient result is typical when switching from T4 mono-therapy to natural dessicated thyroid. Conclusion: There is no question the winds of medicine are changing in endocrinology regarding dogmatic insistence on T4 Monotherapy. However, in medicine, the wheels of change turn slowly, so I wouldn’t hold my breathe waiting for the local friendly endocrinolgist to change their prescribing practices anytime soon. Thank goodness for that, since other wise, I would have nothing to do. For over 15 years of treatment for hypothyroidism with various T4 medications, I complained about continuation of hypothyroid symptoms, only to be told that my blood work was just fine. 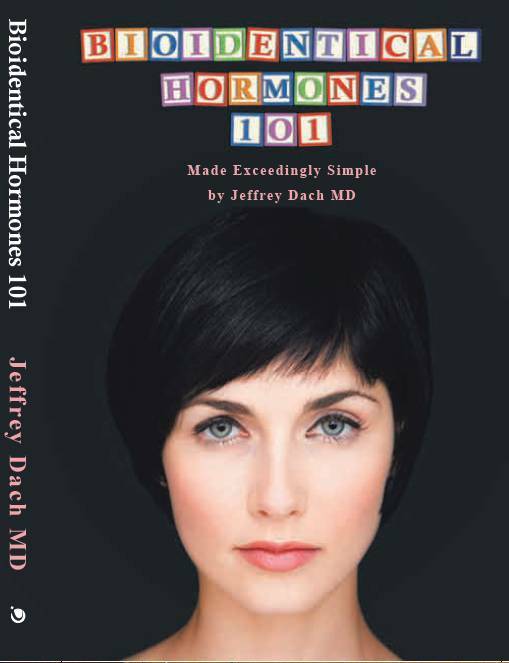 I finally found a doctor that was open to treating with dessicated thyroid medication and it completely changed my life. All of my symptoms have resolved. If patients speak, please listen and be opened minded enough to try a different medication instead of treating the lab values and not the patient. There are many people that have and would benefit from dessicated thyroid. 4) Gereben B, McAninch EA, Ribeiro MO, Bianco AC. Scope and limitations of iodothyronine deiodinases in hypothyroidism. Nat Rev Endocrinol. 2015;11:642-652. 8) Bianco AC, Kim BS. Pathophysiological relevance of deiodinase polymorphism. Curr Opin Endocrinol Diabetes Obes. 2018;25:341-346. 11) Hennessey JV. Historical and current perspective in the use of thyroid extracts for the treatment of hypothyroidism. Endocr Pract. 2015;21:1161-1170. CONCLUSIONS: A subset of patients with hypothyroidism are not satisfied with their current therapy or their physicians. Higher satisfaction with both treatment and physicians is reported by those patients on DTE. 15) Stevens EW, Leung AM. A patient survey of hypothyroid individuals demonstrates dissatisfaction with treatment and with managing physicians. Clin Thyroidol. 2018;30:175-178. The post Paradigm Shift from Levothyroxine to Combination T3 T4 Thyroid appeared first on Jeffrey Dach MD.